Last Minute Cruises From Tampa - Which Cruise Line To Choose? Western Caribbean cruises are a popular choice for many people with Norwegian, Royal Caribbean, Holland America and Carnival all offering itineraries to such places as the Cayman Islands, St. Thomas and Aruba to name but a few. Some, like Norwegian’s 19 day trip take you all over the Caribbean and stop at Bermuda as well before finally docking in Boston while others like some Royal Caribbean cruises from Tampa combine the best of the Caribbean with stops in Cozumel Mexico before returning home. Last minute cruises from Tampa can be as short as the Norwegian offering that is only two nights in duration and simply loops into the Gulf of Mexico and back, or as long as their aforementioned 19 day jaunt. 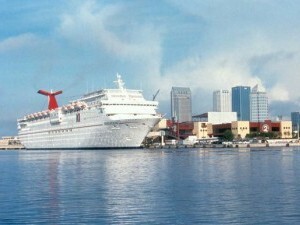 There are also plenty of 4, 5, 7 and 8 day choices among the big names that make Tampa their home port. If you are looking for a cruise from Tampa to Key West, both Royal Caribbean and Holland America oblige with trips that run from 5 to 14 nights, depending on the itinerary you choose. Caribbean cruise deals can be had from any of the major lines that take you to places like Mahogany Bay, the Cayman Islands, Aruba, Curacao, and the US Virgin Islands, and are also available on cruises to the lovely ports in Mexico like Costa Maya and Cozumel, and Santo Tomas in Guatemala or Belize and Roatan, Honduras. Last minute cruises from Tampa can save you money as ships look to fill their remaining cabins, and this allows you a Royal Caribbean cruise, for example, a 4 night trip to Cozumel that you can get for as low as $299 per person. Alternately, the Carnival cruise that departs on May 4th can now be had at a savings of 64% with prices starting at $359 per person, including stops in Grand Cayman and Cozumel, a 5 night trip. Cruises from Tampa that travel across the Atlantic are available with Holland America that see a 16 day trip to the Azores and ports around Spain on the itinerary before you dock in historic Barcelona, which is not your typical transatlantic crossing, but a different twist on the classic to be sure. If you are looking for that quick vacation to the sun, look no further than last minute cruises from Tampa, giving you a great holiday for a great price and all without the hassle of traveling to the eastern coast of the state to embark on your journey.